Raised in a poor yet genteel household, Rachel Woodley is working in France as a governess when she receives news that her mother has died, suddenly. Grief-stricken, she returns to the small town in England where she was raised to clear out the cottage...and finds a cutting from a London society magazine, with a photograph of her supposedly deceased father dated all of three month before. He's an earl, respected and influential, and he is standing with another daughter-his legitimate daughter. Which makes Rachel...not legitimate. Everything she thought she knew about herself and her past-even her very name-is a lie. This is my first book by Lauren Willig and to be honest I didn't read much of the synopsis when requesting this from netgalley, she is an author I've been wanting to read for a while now. The story gets off to a great start, with Rachel reviewing sad news (see synopsis above) and journeys back to England. The plot was interesting, though not always original but watching events unfold left me surprised in a few instances. 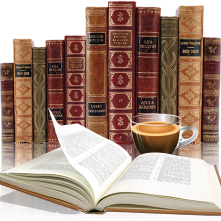 It isn't a huge book, coming in at 304 pages and I would have loved a little more depth. Rachel I got to know and got her character, but it was the others I would have liked to connect with and gotten to know better, especially her sister and father. Romance has never been one of my 'go to' genres, but I honestly thought there would be more of it here. What little there was didn't always ring true to me. The author definitely knows her time period, the settings, descriptions rang true and I had no problem visualizing so much. 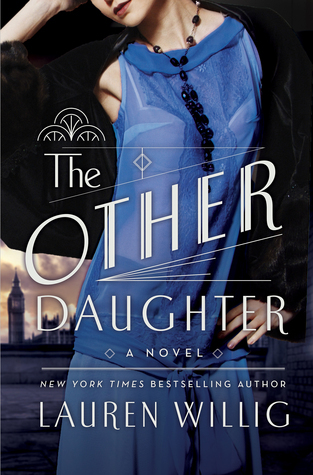 It was an entertaining story and my thanks to St. Martin's Press (via netgalley) for the opportunity to review The Other Daughter. Great review, Margaret. I'm also not a huge fan of romance but I do enjoy it when it's done right and fits the story. I've only read one of Willig's previous books (That Summer) and unfortunately it was just an okay read for me.